Analysts at JMP Securities initiated coverage on shares of Pernix Therapeutics Holdings, Inc. (NASDAQ: PTX) with a Market Outperform rating. The target price for Pernix Therapeutics is set to $13. Pernix Therapeutics shares have gained 272.62% over the past 52 weeks, while the S&P 500 index has surged 13.10% in the same period. Pernix Therapeutics' shares rose 2.85% to close at $9.39 yesterday. 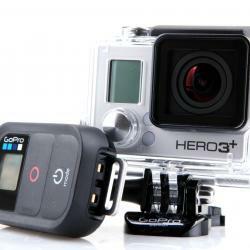 Hero: The Reason Behind GoPro's Bounce Back?